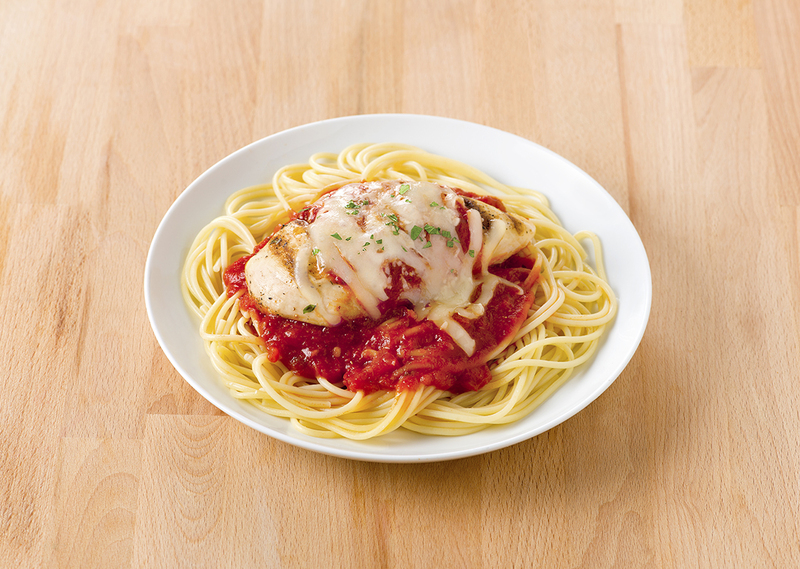 This lightened-up Grilled Chicken Parmesan takes only minutes to prepare. Serve with whole grain pasta and green salad for a quick and nutritious weeknight dinner. Toss chicken breast with olive oil, Italian seasoning, salt and pepper. Preheat George Foreman Grill for 5 minutes with lid closed. Place chicken on grill; cook for 6 to 8 per side minutes or until cooked through. Meanwhile, heat tomato sauce until simmering. Add chicken to serving plates. Top each evenly with hot tomato sauce and mozzarella. Garnish evenly with Parmesan cheese and parsley. Tip: Just as delicious with grilled fish or pork chops. For the Evolve grill preheat to 400° and cook for 7 minutes. For the Indoor|Outdoor grill, preheat to Setting 4 and cook for 3-4 minutes per side.